Stefano Codonis’ practice focuses mainly on intellectual property, life science and technology related transactions and litigation. 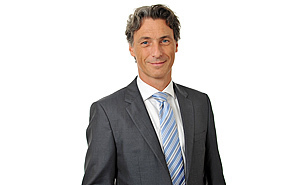 Stefano Codoni is a partner at Walder Wyss and he heads its Lugano Office. Stefano Codoni's practice focuses mainly on intellectual property, life science and technology related transactions (including private equity, venture capital and M&A ) and litigation. Other areas of work are corporate and commercial law. Stefano Codoni also regularly acts as counsel in international commercial arbitration disputes and has experience as sole arbitrator and member of arbitration panels. He is a member of the Arbitration Court of the Swiss Chambers' Arbitration Institution, which assists the Swiss Chambers of Commerce and Industry in administering arbitration proceedings under the Swiss Rules of International Arbitration. Who's Who Legal - Life Sciences says: Stefano Codoni is a “major player” whose "deep understanding" allows him to offer "bespoke solutions"